Why are we afraid of death? Should we tell someone they are dying? Is reincarnation true? 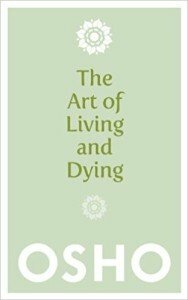 With depth, clarity, compassion, and even humor, Osho answers the questions we all have about this most sacred of mysteries and offers practical guidance for meditation and support. He reveals not only that our fear of death is based on a misunderstanding, but that dying is an opportunity for inner growth. When life is lived consciously and totally, death is not a catastrophe but a joyous climax.